Manchester – Office Space is a valuable commodity! Home/Archive Storage, Blog, Data Storage, Document Management, Long-Term Storage/Manchester – Office Space is a valuable commodity! According to the Guardian, Manchester is “responsible for 50% of the North West’s economic output and 5% of the national total.” Manchester is a financial and business hub mainly due to higher education and academic/scientific research centres, and the presence of multiple universities. Not forgetting the Manchester Chamber Of Commerce that is the largest in the UK! Manchester’s technology sector alone boasts 100,000 employees, with Manchester Science Park now housing several science and tech companies. Manchester also boasts the greatest concentration of commercial and retail floor space in the UK outside of London. Manchester is fast becoming the main territory for the media industry, thanks to the continued evolution and development of MediaCityUK in Salford Quays. Are you considering moving offices because of lack of space in the Manchester or Greater Manchester Area? 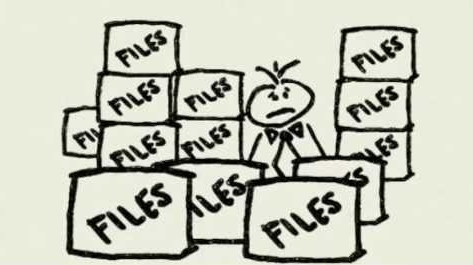 Most managers and staff over-estimate how much office space is actually occupied by documents and archived records. Office Space is a valuable commodity! Is your business making the most of the space you have available? By digitizing paper records, you can remove the old dusty filing cabinets and free up office space. DataSpace can store your documents physically or scan them and host the digital images for you. With DataSpace you can have access to your documents in an electronic format & we will securely host all data at our secure UK Data Centre. Removing the need for your employees to spend hours searching through filing cabinets to find important documents they will just be one click away, also they are much easier to view and share among co-workers. Do you want to keep your paperwork but don’t have the space to store? Why not store it with us at DataSpace, we have Secure Storage Facilities to PD5454:2012 close to Manchester standard for all your archive needs. Digitising your paperwork gives a higher level of protection from natural disasters such as flooding or fire damage. DataSpace UK Ltd are able to provide FileLive so your digitised paperwork can be accessed from anywhere at any time, night or day. DataSpace UK Ltd are the Document Management Specialists we can supply secure offsite storage, archive storage, archive scanning, bulk scanning of documents and Data Hosting Solutions tailor made to suit your needs. DataSpace UK Ltd offers solutions that are flexible and are able to be mixed and matched to meet your exact needs. So if you’re thinking about digitising your archives, using offsite storage or if you need a regular shredding service call DataSpace UK Ltd on 0800 028 8956 or email us at info@data-space.co.uk, we look forward to hearing from you.